The British Army has always demanded the highest standards from its nurses. Shaking off any past reputation of nurses as being drunken, immoral and untrustworthy, it insisted that members of the Army Nursing Service and its successors were highly trained and educated women of impeccable social standing. 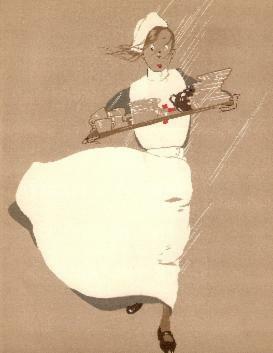 As the Services expanded rapidly during the Great War, standards remained high, maintaining an elitism within the nursing profession. The page on British Military Nurses gives a brief overview of each of the nursing services, and gives some idea of the chances of records surviving for women who served between 1875 and 1925. For women who entered the service after the end of the Great War, surviving records are still held by the Ministry of Defence, and are not likely to be released into the public domain until at least 2015. 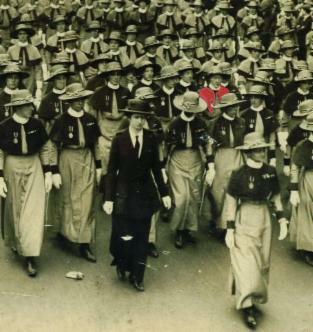 Details of how to apply for records of women who served during the Second World War will be found on the research page. Family history has increased in popularity, but these intelligent, professional and sometimes intimidating women have remained in the background. Many did not marry and therefore have no direct descendants, and of the thousands who served during the Great War, most were children or very young women at the time of the 1901 census, and their later lives are still undiscovered. Now that the 1911 census is widely available, maybe more of them will be recognized. This new website gives information on all administrative and organisational aspects of the British military nursing services in France and Flanders during the Great War. It covers areas that have previously been passed over or ignored, such as pay, contracts, mobilisation and demobilisation, marriage, off-duty time, sickness, discipline and more - the basics of life for military nurses. Hopefully is will prove a useful addition for anyone researching a relative who served, or for those trying to find small facts to use elsewhere.